It doesn't get much cuter. Or does it? 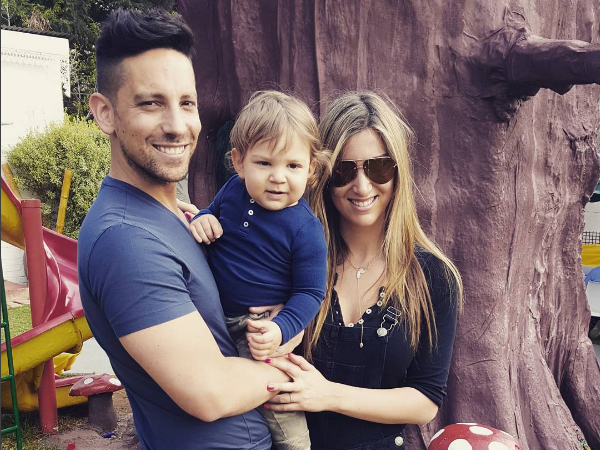 The Koppel clan is set to welcome another baby K -- and little Jayden can't wait! Singer Danny K and his advocate wife Lisa's adorable curly-haired son (2) made the couple's big announcement in an Instagram video posted last night. Read more: This 7de Laan star can’t wait to be a dad! In between giggles, soon-to-be big brother Jayden told fans that mommy has a pig -- no wait, a baby! -- in her tummy. They couple confirmed the happy news online, adding it's definitely a baby and not a farm animal that's on the way. Lisa shared the news with the hashtags #blessed and #overthemoon while doting dad Danny exclaimed "IT'S OFFICIAL!!" Danny and Lisa got married in April 2012 and welcomed little Jayden in July 2014. We're not sure when the tot is due, but we are certain he or she will fit right into this good-looking family! Congratulations, Mr and Mrs Koppel!